Dreaming of a speaker with great sound in an elegant design that can be placed in a bookshelf or on a stand? - Platine Noiree 2515 is the perfect choice. 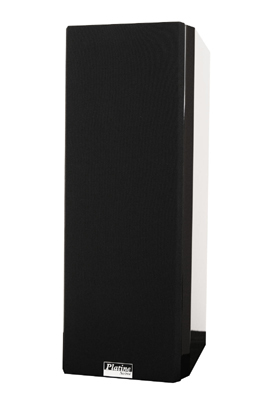 This placement friendly speaker is characterized by uncompromising sound quality, performance and aesthetic appearance. Platine Noiree 2515 is designed with the bass port in the front. This front ported design allows placement in a bookshelf or mounted on a wall. Traditional ported designs may have difficulties with port noise when reproducing low frequencies. The unique patented elliptical bass port overcomes these challenges. The elliptical design combined with the aerodynamic groves increases port capacity resulting in noise free low frequency reproduction. This coupled with the powerful 5 ¼ " long-throw woofer units makes the 2515 a remarkably powerful speaker. The speaker is finished in a deep luxurious black piano lacquer. The elegant piano surface complements the sleek modern design and sculpturally adds sophistication and exclusivity to your home. The high-performance 5¼” long-throw woofers offer performance equivalent to traditional 8" units. These units are equipped with high poly-ether suspension that enables exceptionally long travel without deformation or distortion. The cone is made of a specially formulated rigid lightweight poly-injected material which ensures fast transient response. The magnet motor is 3 cm thick resulting in long and precise excursion. 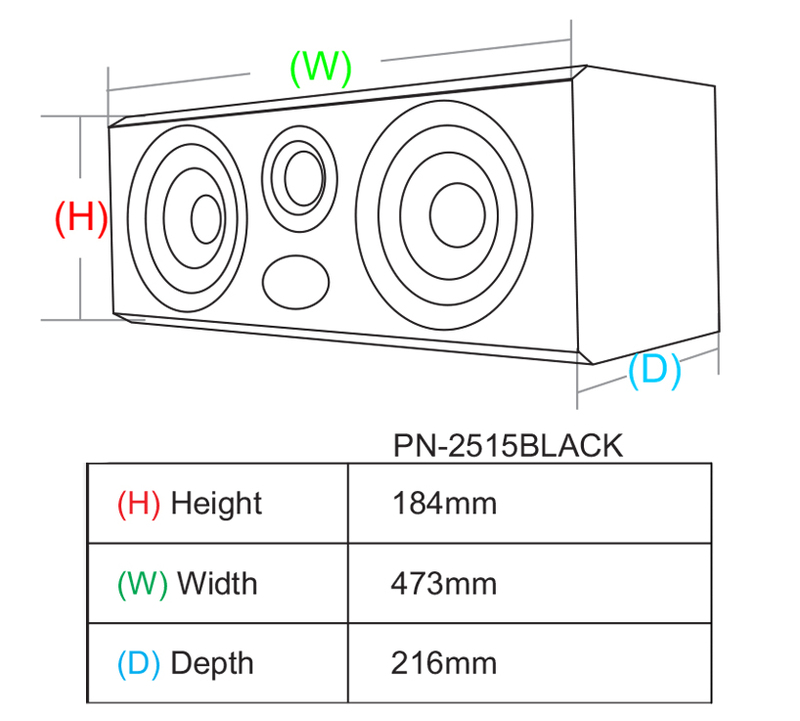 These properties allow the 2515 to replace much larger speakers. Platine Noiree 2515 is equipped with a unique wide-band tweeter module. This design incorporates an ultra-light silk dome tweeter driven by a powerful neodymium magnet system. The wide-band module is a tweeter that combines an ordinary and a super-tweeter into one unit. This design solved the harmonic problems known from the conventional separate tweeter / super-tweeter solution. The wide-band module is free of mechanical and electrical transition in the high frequency spectrum resulting in a dynamic and detailed reproduction with all the natural overtones preserved. The cabinet is made of solid HDF (high density fiber board) with a thickness of 2.5 cm. Each cabinet is built around an internal skeleton made of a unique wood and epoxy composite material. The cabinet finish is a unique process in several stages, beginning with thorough priming and sanding the cabinet surface. This is followed by several layers of black lacquer finished with a smooth and deep clearcoat. The cabinet is carefully polished and has a smooth soft and super refined finish that sets the standard for elegance. This model is fitted with universal bracket wall mounting.